I did a write up on Cherokee Princess back last year. And I mentioned then that her name would never fly today. 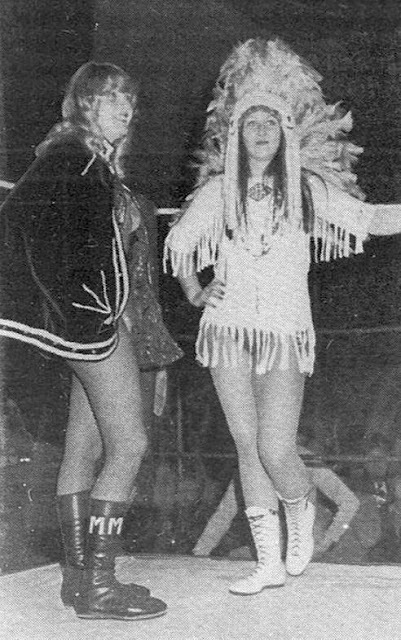 Since she was a British women's professional wrestling star, I doubt very seriously that she was Cherokee. I mean she may have been, but I doubt it. And a some time partner of British female wrestling legend Mitzi Mueller.